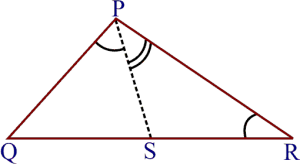 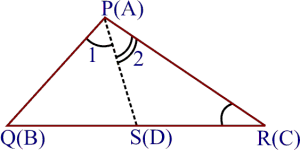 Q.1 Show that in a right angled triangle, the hypotenuse is the longest side. 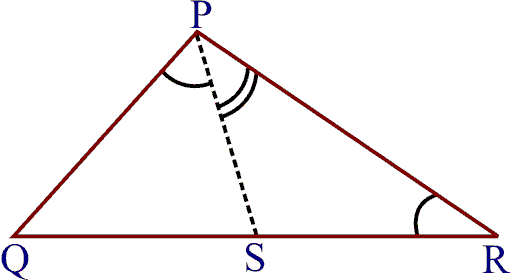 Hence , in a right triangle , the hypotenuse is the longest side. Q.2 In figure, sides AB and AC of ABC are extended to points P and Q respectively. Also . 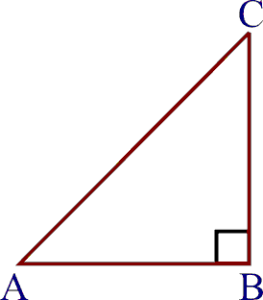 Show that AC > AB. 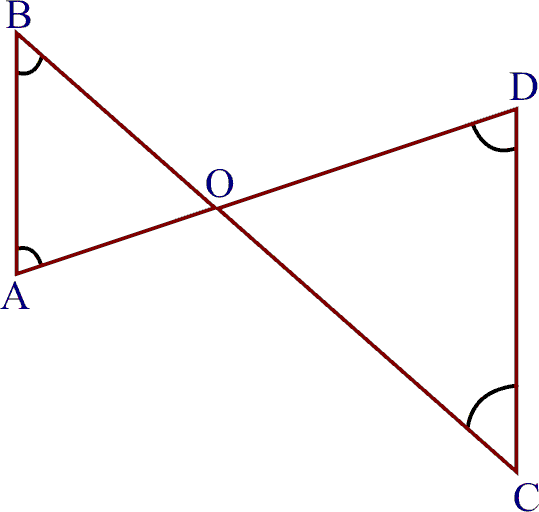 Q.3 In figure , Show that AD < BC. 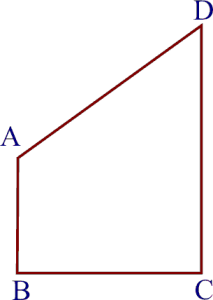 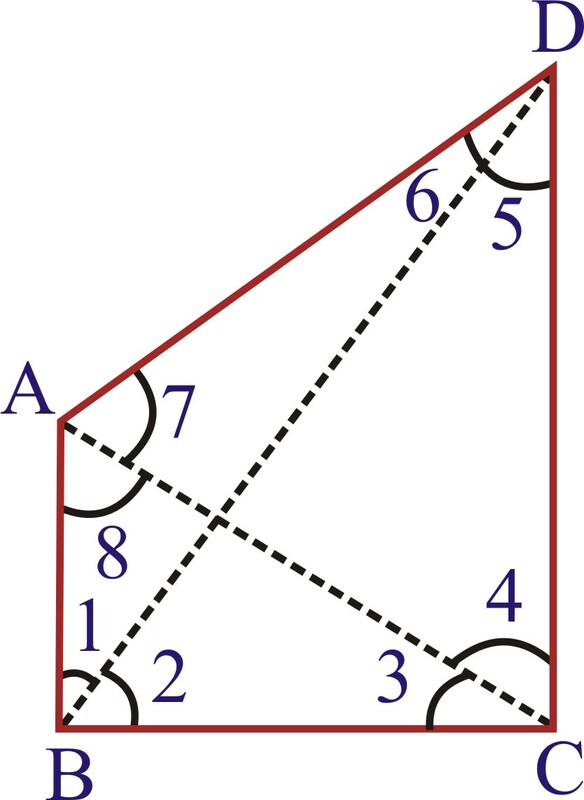 ABCD is a quadrilateral such that AB is its smallest side and CD is its largest side. 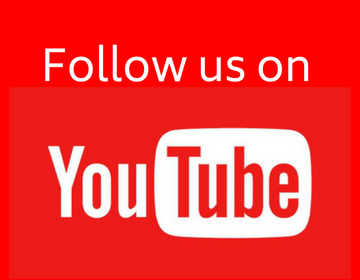 Join AC and BD. 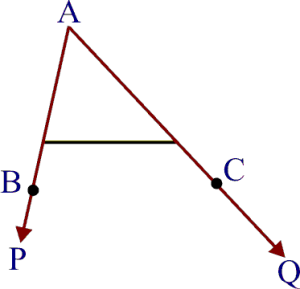 Since AB is the smallest side of quadrilateral ABCD. 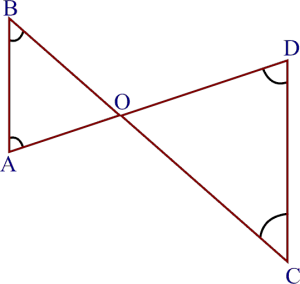 Since CD is the longest side of quadrilateral ABCD. 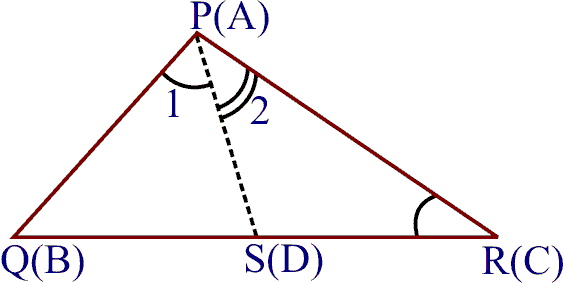 Q.6 Show that of all line segments drawn from a given point not on it, the perpendicular line segment is the shortest. 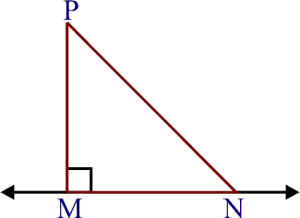 Let P be any point not on the straight line l. PM l and N is any point on l other than M.
Hence, PM is the shortest of all line segments from P to AB.